SANTA BARBARA — Phase 3 of the complete reconstruction of the 40-plus-year-old Marina 1 is now under way and is scheduled to be finished before Thanksgiving. The 10-year multiphase project is going according to plan and on schedule, with Marina 1 slip owners now enjoying a new utility delivery system — including upgraded shoreside and dockside power, and a 1,200-foot concrete head walkway that provides access to 16 finger piers, restrooms and showers. With each phase, slip holders in different areas of the facility will get new concrete docks with improved lighting and utilities. “Demolition of the 48 (old) slips on N Dock began Oct. 11, and we expect to be finished with reconstruction and have boaters back in their slips before Thanksgiving,” said Karl Treiberg, Santa Barbara waterfront facilities manager. The cost for Phase 3 is $857,000, with construction work being performed by Bellingham Marine Industries. The first three phases of the project cost about $5.5 million, with funding through loans from the California Department of Boating and Waterways. Phase 4 of the Marina 1 redo will replace docks L and M. Construction is planned for early 2012, at an estimated cost of $1.7 million. The entire 10-phase project planned to take about 10 years to complete is estimated to cost $15 million. “Most of the project funding is likely to come from additional Department of Boating and Waterways loans, bonds and/or our capital improvement program,” Treiberg said. Funding to support Phase 4 reconstruction was approved this month by the California Boating and Waterways Commission (see sidebar). 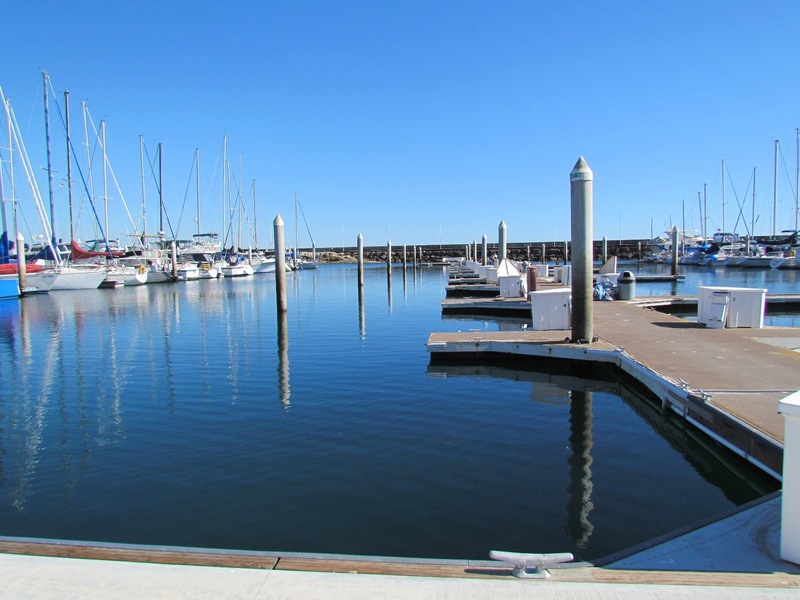 Santa Barbara Harbor has 30 guest docks and 60 temporary open dock spaces available from slip cancellations and boaters on long-term cruises, allowing displaced slip holders to relocate temporarily (for about six weeks) while construction of new slips is taking place. “We are on track with our original long-term replacement plan for Marina 1. Bellingham and the Department of Boating and Waterways have been great to work with,” Treiberg said.